Home » Painting Contractors – How To Pick The Right One! Finding a contractor is easy, but selecting the right contractor for your project can be a little trickier. We’ve taken the guess work out of this process by providing the following guidelines for selecting the best contractor and crew for your paint project. 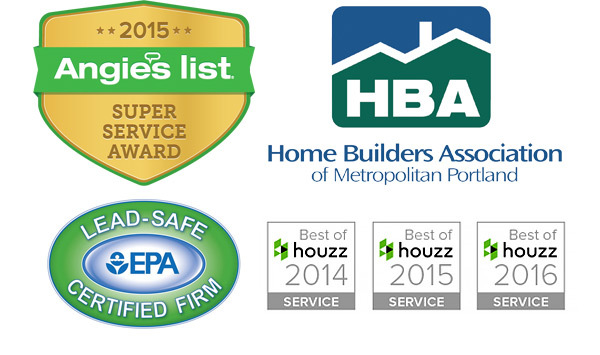 Select a contractor who is licensed, bonded and insured. This is very important from a liability standpoint. Most contractors will have their CCB number printed on their business card. 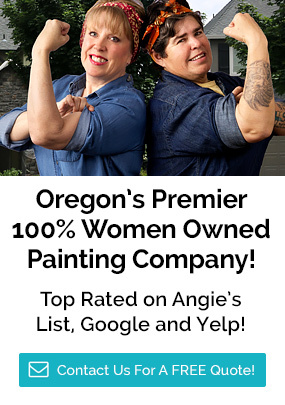 If you question the credibility of the contractor you are interviewing, go to www.oregon.gov/ccb and enter their CCB number to read any complaints against them. Clearly communicate the general scope of your project. Take time to communicate as many details as possible about what you want and need for your project, and if you have any special requests or considerations such as a certain brand or type of paint preference. This will assist the contractor in preparing an accurate and comprehensive bid. Determine project timelines and expectations. Before accepting any bid, you’ll want to have a clear understanding about expected start and finish dates for the project. Be sure to also ask how much of a deposit the contractor requires up front to begin work. • How will the contractor prepare the painting surfaces? Do they pressure wash or hand wash? Will any areas be scraped or sanded and primed before painting? How will holes, dents or texture issues be dealt with? Will they caulk if needed? • Who will supervise the project? • How will they protect windows, brick, foundation, or furnishings from drips and spills? • When applying the paint, will they spray, brush, roll, or hand brush? • Where will equipment (brushes, rollers, pans, etc) be stored during the project? • What can you expect in terms of clean up and removal of trash related to the project? • What will be done with leftover paint – will you be allowed to keep it for touch-ups? Check references. Ask questions that determine if the client enjoyed working with the contractor, if they were satisfied with the results of their painting project, if the would refer this person to others, and if there were any aspects that were not done as well as expected. If you feel you need to know more, you can always request to visit a job site to see the crew in action. Trust your own instincts and intuition. Is this someone you feel comfortable inviting into your home or business? If a problem arises, will you feel comfortable communicating with the contractor to get it resolved?